Review If 2010 was the year of the Apple iPad, this year will, if Motorola, HTC, HP and others have their way, be when everyone else gets in on the touchscreen computer act. 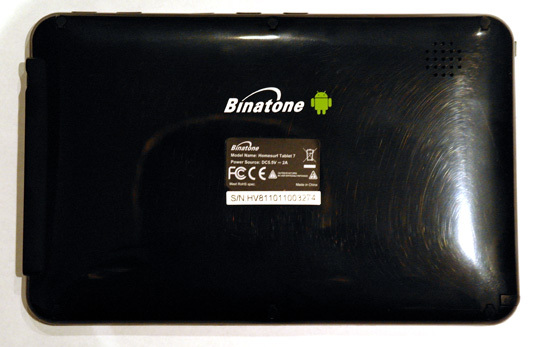 Binatone has made an early strike with its super-low priced machine that’s powered by Google’s Android operating system. The HomeSurf is light and sits easily in the hands. It’s much easier to hold for long periods than the larger iPad – a bonus if you’re using the tablet for the reading e-books, for instance. It’s not very tactile in other ways, though, this tablet. The hardware buttons are unhelpfully placed on the top edge and while some have icons on the front to tell you where they are, others don’t. Press them and they feel decidedly low-rent. 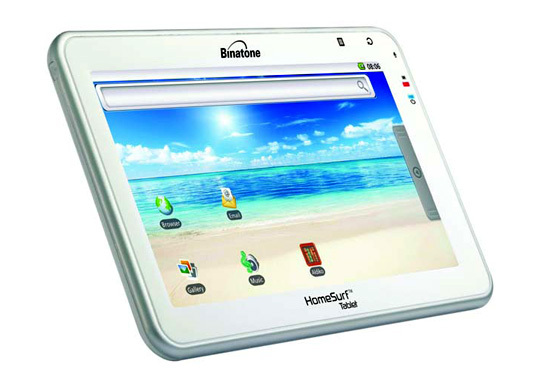 Like the Samsung Galaxy Tab, a much pricier item, the HomeSurf Tablet 7 has a seven-inch screen. However, the Tab uses a capacitive screen, the more expensive kind favoured by the iPad and high-end smartphones. Here, however, we’re faced with the cheaper resistive kind of touchscreen. This is no surprise, given the competitive price, but resistive screens lack multi-touch capabilities and have a grainier, less pleasing look to them. And where the Tab is a smooth glass surface across the whole front, the HomeSurf has a glossy bezel in front of a recessed display which is less attractive. On the plus side, because resistive screens are pressure-sensitive they can be used with a stylus or when you’re wearing gloves, which is handy if you’re outside. And you’re probably more likely to take the HomeSurf with you when you’re out than a larger tablet.